The actor, who has starred in films like From Dusk Til Dawn and made appearances on TV shows like The Golden Girls, was reportedly riding his scooter “on the state road to Costa Corallina, in the province of Olbia” when the driver of a Mercedes wagon “did not respect the right of way” and smashed into him. 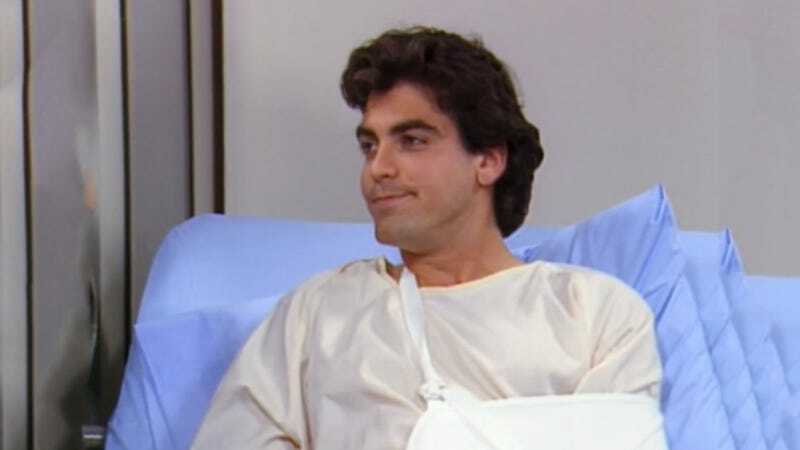 UPDATE: TMZ is reporting that Clooney was”thrown from his bike and his helmet struck the car’s windshield, causing it to shatter.” Also, “was hurled TWENTY FEET in the air” (emphasis TMZ’s) before landing and breaking his helmet. But, again, he’s fine! Somehow.